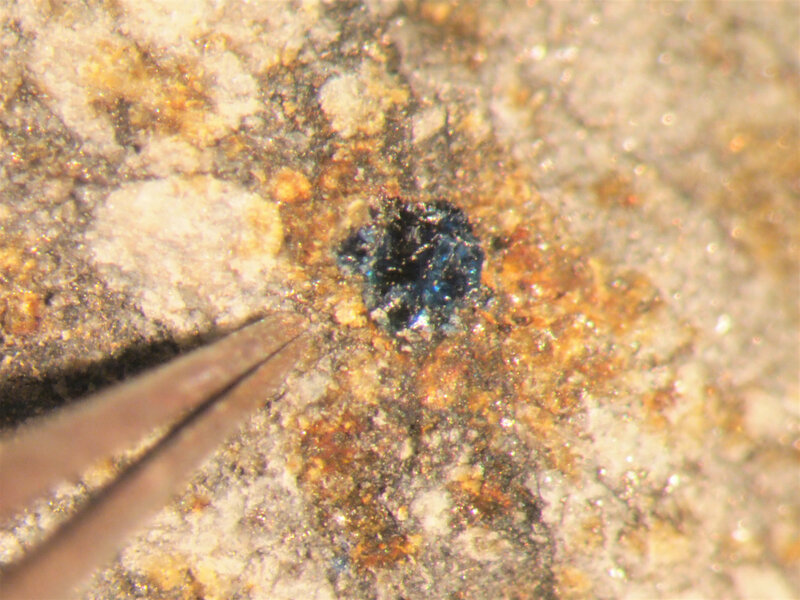 A detailed study of the chemical makeup within tiny blue and purple salt crystals sampled from these meteorites, which included results from X-ray experiments at the Department of Energy's Lawrence Berkeley National Laboratory (Berkeley Lab), also found evidence for the pair's past intermingling and likely parents. These include Ceres, a brown dwarf planet that is the largest object in the asteroid belt, and the asteroid Hebe, a major source of meteorites that fall on Earth. While the rich deposits of organic remnants recovered from the meteorites don't provide any proof of life outside of Earth, Kilcoyne said the meteorites' encapsulation of rich chemistry is analogous to the preservation of prehistoric insects in solidified sap droplets. Queenie Chan, a planetary scientist and postdoctoral research associate at The Open University in the U.K. who was the study's lead author, said, "This is really the first time we have found abundant organic matter also associated with liquid water that is really crucial to the origin of life and the origin of complex organic compounds in space." She added, "We're looking at the organic ingredients that can lead to the origin of life," including the amino acids needed to form proteins. If life did exist in some form in the early solar system, the study notes that these salt crystal-containing meteorites raise the "possibility of trapping life and/or biomolecules" within their salt crystals. The crystals carried microscopic traces of water that is believed to date back to the infancy of our solar system - about 4.5 billion years ago. 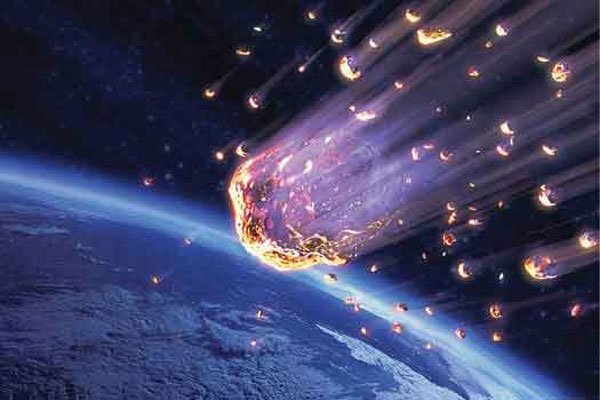 Chan said the similarity of the crystals found in the meteorites - one of which smashed into the ground near a children's basketball game in Texas in March 1998 and the other which hit near Morocco in August 1998 - suggest that their asteroid hosts may have crossed paths and mixed materials. 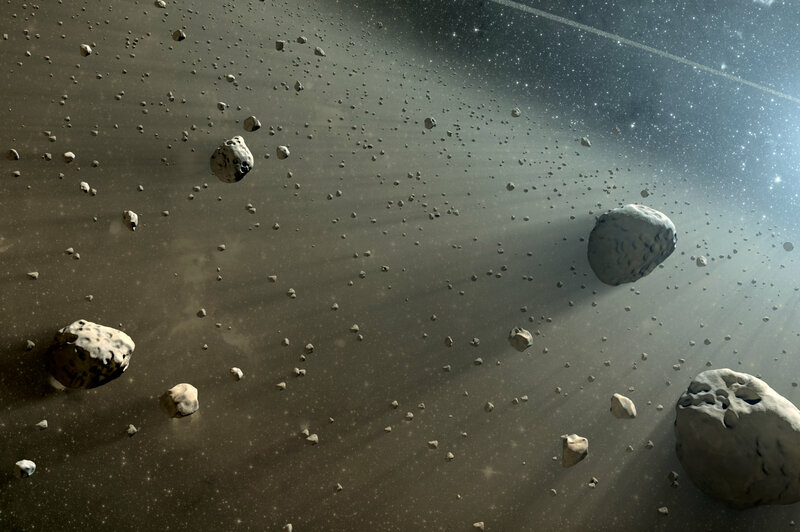 There are also structural clues of an impact - perhaps by a small asteroid fragment impacting a larger asteroid, Chan said. This opens up many possibilities for how organic matter may be passed from one host to another in space, and scientists may need to rethink the processes that led to the complex suite of organic compounds on these meteorites. "Everything leads to the conclusion that the origin of life is really possible elsewhere," Chan said. "There is a great range of organic compounds within these meteorites, including a very primitive type of organics that likely represent the early solar system's organic composition." Chan said the two meteorites that yielded the 2-millimeter-sized salt crystals were carefully preserved at NASA's Johnson Space Center in Texas, and the tiny crystals containing organic solids and water traces measure just a fraction of the width of a human hair. Chan meticulously collected these crystals in a dust-controlled room, splitting off tiny sample fragments with metal instruments resembling dental picks. "What makes our analysis so special is that we combined a lot of different state-of-the-art techniques to comprehensively study the organic components of these tiny salt crystals," Chan said. Yoko Kebukawa, an associate professor of engineering at Yokohama National University in Japan, carried out experiments for the study at Berkeley Lab's ALS in May 2016 with Aiko Nakato, a postdoctoral researcher at Kyoto University in Japan. Kilcoyne helped to train the researchers to use the ALS X-ray beamline and microscope. 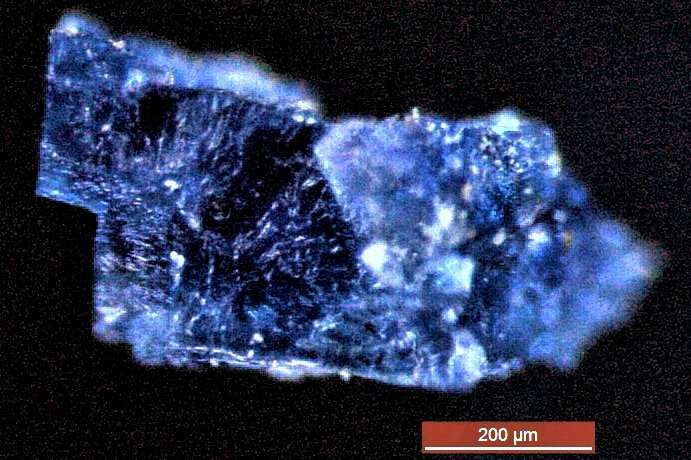 "We revealed that the organic matter was somewhat similar to that found in primitive meteorites, but contained more oxygen-bearing chemistry," Kebukawa said. 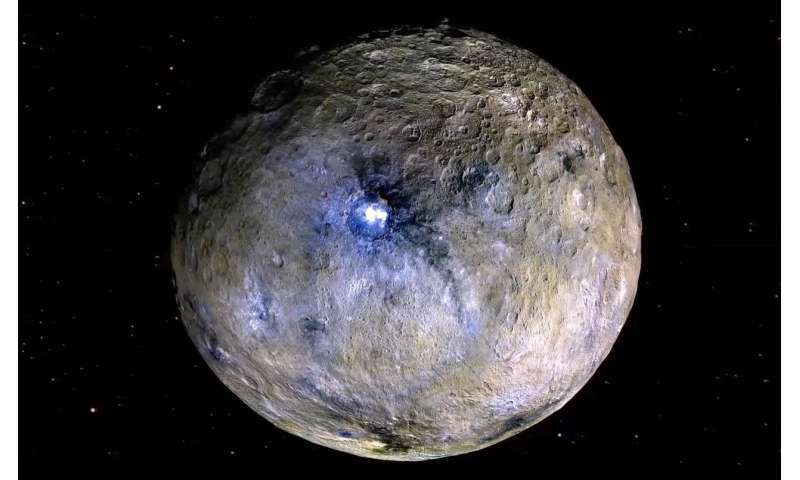 "Combined with other evidence, the results support the idea that the organic matter originated from a water-rich, or previously water-rich parent body - an ocean world in the early solar system, possibly Ceres." Kebukawa also used the same STXM technique to study samples at the Photon Factory, a research site in Japan. And the research team enlisted a variety of other chemical experimental techniques to explore the samples' makeup in different ways and at different scales. Chan noted that there are some other well-preserved crystals from the meteorites that haven't yet been studied, and there are plans for follow-up studies to identify if any of those crystals may also contain water and complex organic molecules. Kebukawa said she looks forward to continuing studies of these samples at the ALS and other sites: "We may find more variations in organic chemistry."